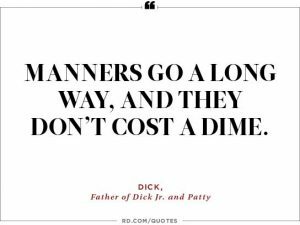 Good Manners are essential for every child’s self confidence and success in life.Manners and etiquette for children is ranked as the most important quality to nurture in the family home. In the family home – this is where it starts, where the ‘manners seed’ is planted and nurtured. 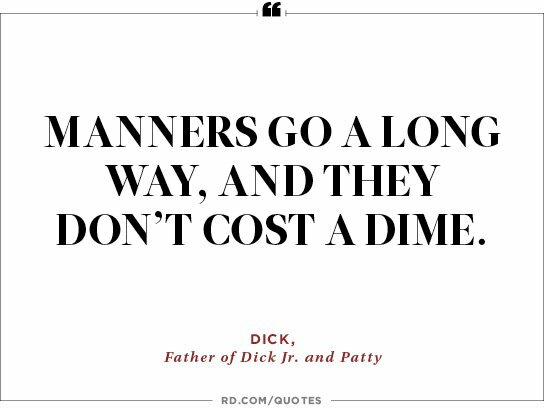 This is where your children learn not only good manners, but also core values and ethics. This is the haven where your children learn to be considerate, tolerant and respectful. They learn to share and to respect the space of all other family members. This is the place where your children put into practice the foundation of all the social etiquette they will need to carry them through life. 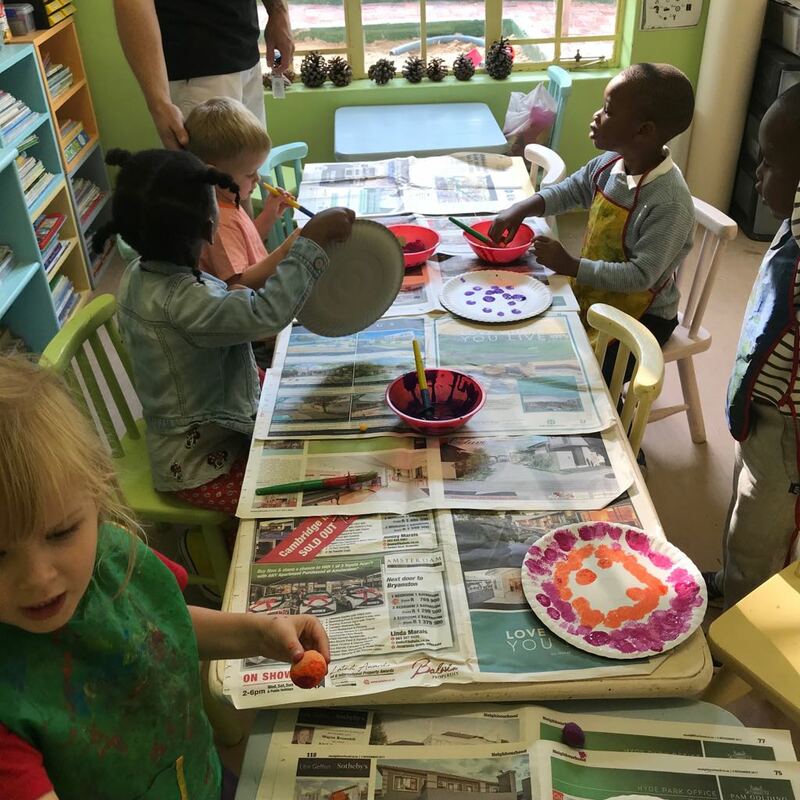 The Montessori method of teaching equips children with a strong sense of independence and confidence, by allowing them to do things on their own. Children are curious by nature and enjoy trying what they can achieve. Confident children grow into resilient adults. People who possess confidence don’t dwell on failures. Instead, they acknowledge difficult situations, learn from any mistakes, problem solve with confidence, and move forward with positivity. Confident people are typically healthier and happier, experience lower levels of depression, and enjoy greater success at school and work. Children need both outside support and inner strength to build confidence. 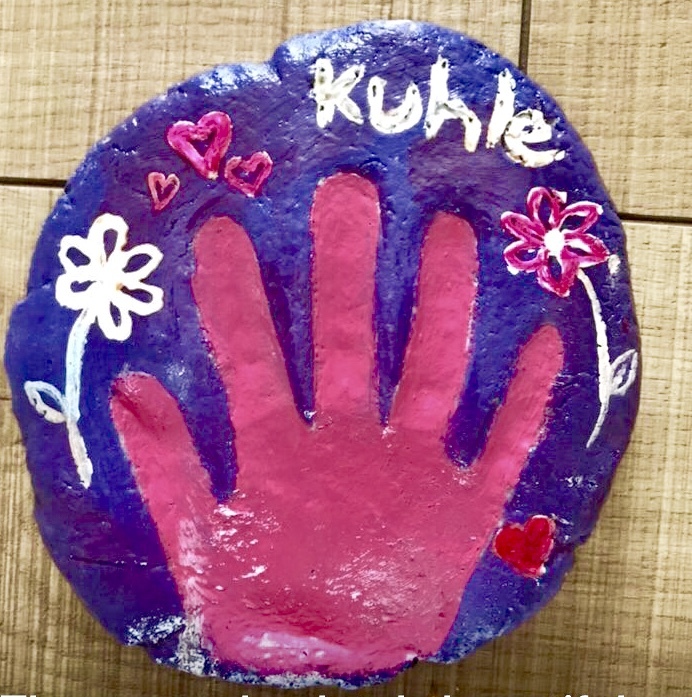 Outside support, such as caring relationships and positive role models, play an important role in teaching children that they are safe, loved and accepted. Skills of inner strength, such as self-regulation, critical thinking, confidence, positivity and responsibility teach children that they are capable of coping with difficult situations. 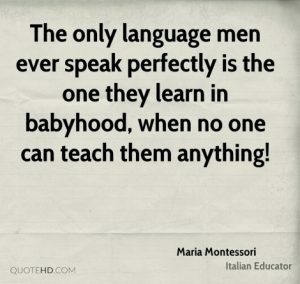 Montessori cultivates a culture of confidence and independence fostering the idea that children are capable learners, who can do, and think for themselves. 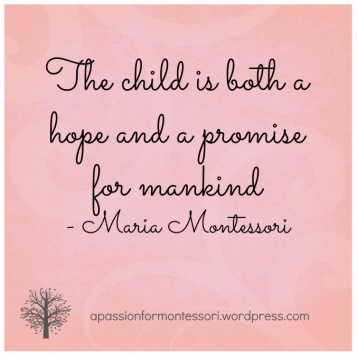 In the Montessori classroom, this can be seen through a focus on independence and self-correction. If a child spills a drink, they are encouraged to clean it up. If they cannot complete an activity, they are encouraged to try again when they are developmentally ready. 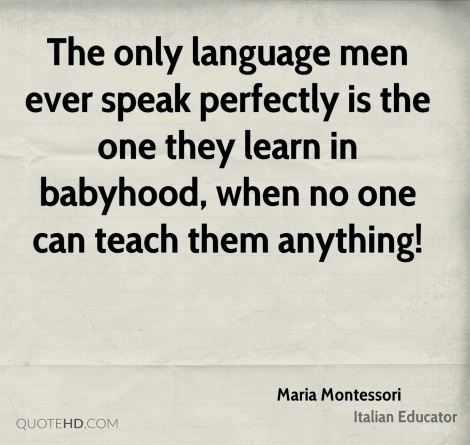 By allowing children to fix problems themselves, instead of removing them, Montessori empowers children with the confidence they need to bounce back from accidents or disappointments. Embrace the Montessori concept of “Help me to do it myself.” When your child is struggling with a task, such as tying their shoes, resist the urge to take over. Accept that your child won’t get things right the first time, or the second, and that learning to become independent is a process that builds resilience. Make time. Learning to become independent takes time and patience. If it takes your child 20 minutes to get dressed themselves, start your morning routine 20 minutes earlier. It is important to allow extra time in your daily routines to accommodate for your child’s emerging skills of independence. Identify opportunities for independence. Create a list of things that your child can do for themselves. Examples may include: brushing their teeth, choosing their outfit, putting on their shoes, tidying up their toys, or putting their plate in the sink. Ask your child which duties they feel that can take on. Embracing your child’s independence is likely to increase their willingness to try new things. Catch any negative thoughts and feelings of embarrassment: Your child’s behaviour is not a reflection of your parenting. Instead, it is a demonstration of their developing emotional and behavioural regulation skills. Approach the situation with patience and empathy: Take three deep breaths, and think about the current situation from your child’s perspective. What is the likely cause of their behaviour, and how are they feeling? Are they hungry, over-tired? Rethinking and problem solving their feelings will encourage them. Use the current situation as a learning opportunity to address the cause behind their behaviour. Talking through your child’s emotions with them will not only validate their feelings and help them to express themselves, but will also help them manage this wide range of emotions, and teach them to ask for help when necessary. Model Resilience. 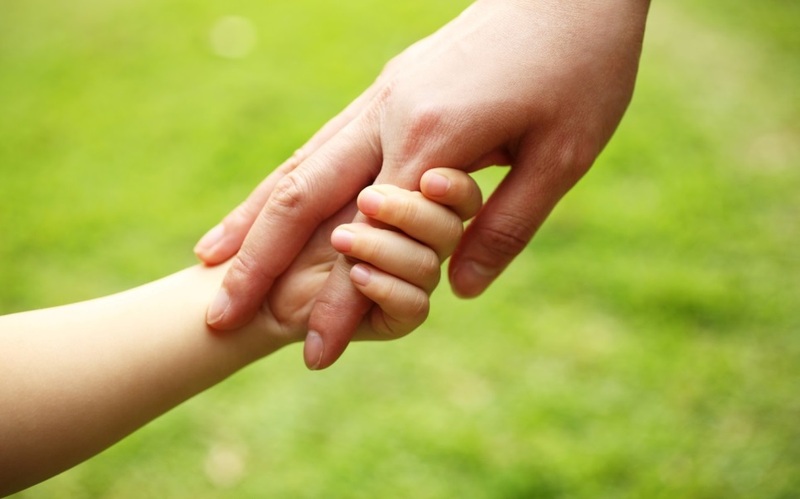 One of the first ways that children learn about resilience is from their parents. When parents cope well with stress in their everyday life, they are showing their children how to do the same. To model resilience: approach difficult situations with patience and a positive can-do attitude. Encourage your child to keep trying when a task is hard or frustrating. Use positive language about difficult tasks, and encourage your child to see challenges as opportunities to develop new skills. Show them that mistakes are ok. Everyone makes mistakes, what’s important, is that we learn from them for next time. Encourage your child to see mistakes as opportunities to problem solve in a different way. Actively point out your child’s strengths. Discuss and encourage your child to build on their strengths, as well as their limitations. These positive affirmations will become the “voice” in your child’s head. Hearing positivity helps children to develop a positive inner voice. Family is the important gift given to us. Many people can help you, but your family understands you best. Family is an important word, it means to feel secure, to have someone who you can count on, whom you can share your problems with. But it is also means to have respect for each other and reasonability. What family means to me is love and someone that will always be there for your through the good times and the bad. It is about encouragement, understanding, comfort, advice, and faith. Family traditions are experiences that families create together that create a sense of belonging. 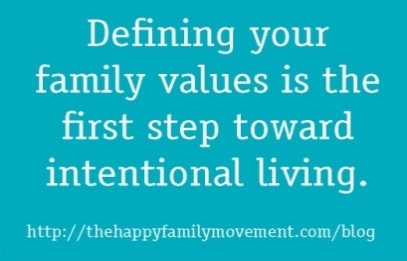 The morals and values become a family’s guiding force. Family is the strongest unit of strength. Spending time with your family forms a strong bond. Family is the bond that we are born with. 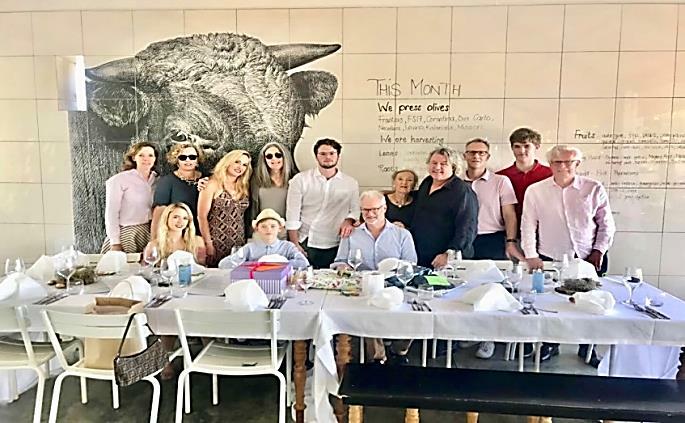 When you are blessed with a family connection, you should make it a point to stand by them. When the roads of life get weary, it is the support of family that will matter to you. No one wants to live a lonely life and so you should understand the importance that family plays in your life. No matter what you believe, it is important to understand that every individual needs their family. If you do not value your family, you will find yourself in a spot of bother later on. So, you should understand their importance in your life and try to shower your love and care. Love has a way of coming back and so your family will help you out when you need them. Have you met those who live all alone and have no one to call their own? The agony and suffering which they undergo is huge and whopping. Sometimes, it can crush them deep because it is human mentality that we always need someone whom we can call our own. The kind of love and emotions that will flow from you is serene and heart touching. 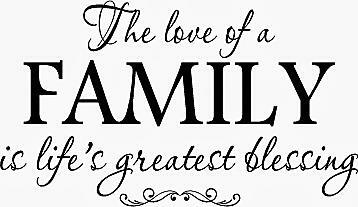 Sub consciously, we all love our family. However, sometimes, it is we ourselves who need to be convinced about our love. So, call your family, be a part of their happiness and spread happiness in their lives too. When you call them your own, they are likely to call you theirs too and this can go a long way in spreading happiness all round. You may or may not realise but we all need a shoulder to fall back on. If you are a lone warrior, you are likely to get tired on the dreary roads of life. When the clouds cover you up, you will always look for a silver lining. It is your family that can turn out to be the silver lining. Raising young children is one of the toughest most important jobs, yet the most rewarding and fulling role we play in our children’s lives. As a parent, your first priority is to give your child the best start in life from a young age and this starts with their emotional development. Here are a few handy tips for parents to enhance their young child’s emotional development. Teach your child to love and feel loved. Touch – hugs, pats, gentle squeezes, holding , rocking etc. Verbal – terms of endearments, tone of voice, expression of love. Help your child develop a sense of importance/contributions to her family, school etc. Affirmation of value to your child. Encouragement for your child’s accomplishments because of their efforts and contributions in their family unit. Teach your child to communicate effectively and appropriately to adults, parents, siblingsand peers. Teaching your child skills such as co-operation, sharing , negotiation and empathising. Spend quality time with your child with the emphasis of” being together” rather than” doing”. Meal times – a time for sharing your child’s daily events. Give your child encouragement rather than criticism. Show your confidence in your child and nurture his feeling of success. The Emotional Development of a child is fragile and an intricate process. It is important to note that a child’s emotional development is equally important as his intellectual intelligence. If your child does not feel emotionally secure, it is unlikely that he will reach his full potential! 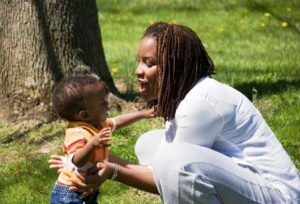 How can I enhance my child’s my child’s Emotional development? Encourage independence. Don’t do for your child that he can do for himself, however tempting it may be. 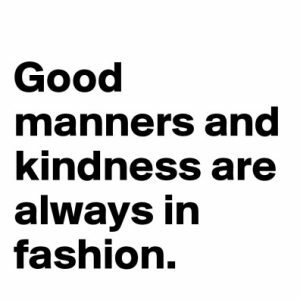 For example: Parents dress their children in the morning because it is so much easier and quicker but in the long run its to the child’s detriment. Your child is able to do things by himself e.g. brush his teeth, tidy up etc. This will give your child a sense of achievement and independence. Saying a quick goodbye and “I love you” when dropping your child at school in the mornings, and leave as soon as possible. Contact with different personalities and characters only strengthen and develop the nature of your child. Take an interest in what your child says and value his/her opinions. Teach your child to express his opinion’s. Young children experience difficulty expressing emotions such as anger, fear, frustration etc. and thus his feelings are shown through their behaviour. Help your child to express emotion through verbal communication. At meal times or bed time is the ideal time for the entire family to talk about what made your child happy or sad that particular day. You will be surprised at how much you find out about your child. Ensure eye contact and involve yourself in a conversation. Then watch how your child’s communication skills and feelings of self worth improve. Do not let your child use emotions to manipulate you. So, if at the end of the day, if your child relates the “tragic story” respond by saying that must of made him/her very sad. But you know that he will have a happier day tomorrow. Use hurdles to strengthen the character of your child. 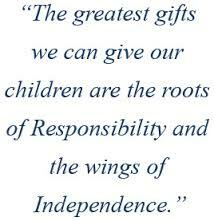 Help your child take responsibility for his actions. Make it very clear that it is not him, but his behaviour, which is not acceptable. Is your child’s art work displayed? 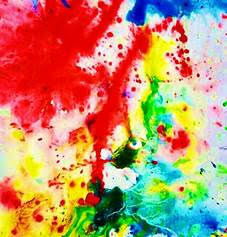 Your child will attach importance to the art work he has produced in the future. Get Your Child To Sleep! Is your child frequently whining, hyperactive, irritable, angry, aggressive, crying, oppositional, distracted, defiant, or impulsive? If any of these characteristics are common in your child, it may be time to consider if the amount of sleep your child is getting is impacting his/her emotional and behavioral functioning. The quality and quantity of children’s sleep impacts their brain development as well as their emotional and behavioral functioning. In order to regulate children’s emotional and behavioral functioning – the first place to start is with regulating their sleeping habits. 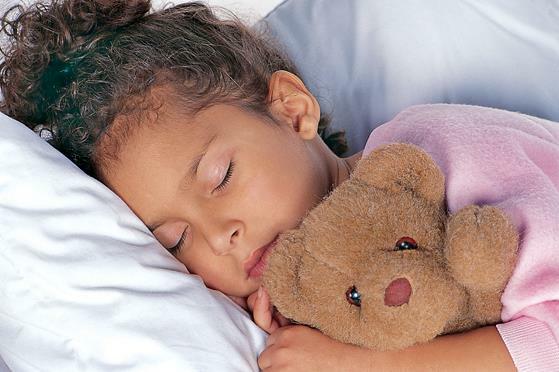 * The amount of sleep each child needs varies for children just like adults, but an average would be 11 – 14 hours for the preschool age group. This would include the number of hours a child sleeps during nighttime and naptime. * Think about how many hours of sleep your child gets and also look for signs in your child that maybe they are not getting enough sleep such as: you have to wake them up in the morning; they fall asleep in the car or at odd times, or any of the characteristics discussed at the beginning of this article. * Also, think about what time your child goes to bed at night – new research supports the importance of sleep in the earlier hours of the evening during which major brain development occurs. 1. Establish structure and routine. Why is it important? * The sameness provides a sense of safety and security for the child. * The sameness allows them to know what to expect and what is expected of them. * The sameness reduces the need to discuss, negotiate, beg, whine and battle – they won’t even try once they know the rules. * It regulates their bodies and “sets their clocks” for when to eat and sleep. * Hunger and fatigue are major contributors to unwanted behaviour. * Sleep and wake times should be the same every day to regulate their sleep cycles. * Create a “bedtime routine” (about 30 minutes) this should include the same steps every day in the same order. *Do not let them decide when they are tired, when they are ready for bed – have a set bedtime and stick to it! * No roughhousing before bed. * Make sure your daily schedule includes plenty of physical exercise during the day. * Create a calm, quiet, and positive atmosphere to implement your bedtime routine. * End your child’s day with positive parent-child interactions and physical affection. 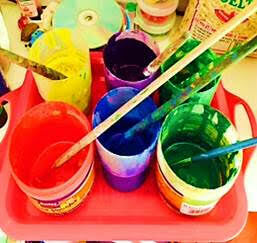 Incorporate art-making into your child’s playtime at home. Make an art-zone if you want to isolate the mess. Tape down paper for them to draw on and spill on, and make a smock out of old clothes. Taping paper on a table can help a small child focus on the motion of drawing, without having to hold down and adjust the drawing paper. Children will begin their drawing by scribbling. Around 2 years of age, the scribbles will become more controlled and repetitive, and children may begin to grip crayons and markers between their thumb and pointer finger for more control. Don’t focus only on drawing with tools: children can draw by tracing pictures in sand, or shaping clay or play dough. Buy washable paints, nontoxic clay, chalk, child-safe scissors, and many kinds of paper, and store in an easy to access spot. Don’t teach.Children develop basic motor skills with every scribble. They also develop creativity, invention, and self-expression. Talk with them about their art, but do not attempt to teach. Avoid the impulse to correct. Small children may paint purple grass, floating people, and babies the size of houses. If you correct them you will damage their self-confidence and interrupt their natural learning progress. If a child is excited to talk about their drawing, ask more questions. A child may begin to add more details when you ask questions. When a child is drawing representational work, they will often imagine a story that goes with the work. Asking them to tell you more details of their story will encourage them to draw more details. If you ask “What does the girl smell,” for example, they are more likely to add a nose. If you ask “Is the dog lonely at night?” they may draw more animals. This kind of exchange encourages imagination, story-telling abilities, and drawing skills. Make art part of emotional processing.If a child is experiencing a strong emotion, offer them paper and markers, or some clay. Art can help children process intense emotions that may be too complex for them to put in words. 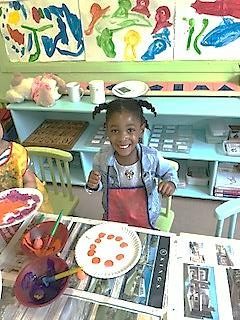 Giving a child a creative activity over which they have sovereignty can help them gain a sense of control. Display and save their drawings.Putting children’s art up is a way of letting them know their work is interesting and important. Rather than praising every individual drawing, display it. You do not have to put up every piece of art: ask each child what they would like displayed, or create a rotating “gallery” that changes weekly or monthly. Keep a portfolio of each child’s drawings so they can observe their process. 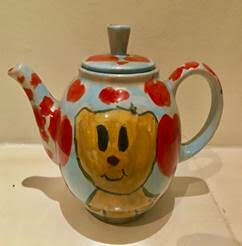 It is more important that a child’s practice is affirmed than that their art products are displayed. Displaying final products is no replacement for encouraging the development of their drawing. Focus on one medium at a time.Offer children the chance to practice with different media. Children between 4-8 yrs. old may be open to drawing with pencils, which will allow them to focus on shading and contour. 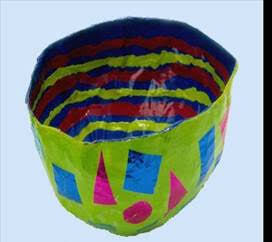 Show children different materials and allow them to experiment. Suggest phases: First we will draw with a pencil, then with watercolours. It is the primary means through which each individual child will be enabled to structure, to evaluate, to describe and to control his/her experience. In addition, and most significantly, oral language is the primary mediator of culture, the way in which children locate themselves in the world, and define themselves with it and within it” At its most basic level, oral language is about communicating with other people. It involves a process of utilizing thinking, knowledge and skills in order to speak and listen effectively. As such, it is central to the lives of all people. 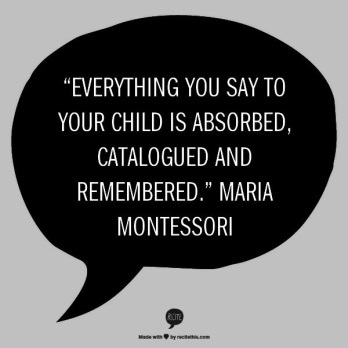 Oral language permeates every facet of the school curriculum. 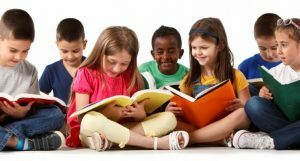 The development of oral language is given an importance as great as that of reading and writing, at every level, in the curriculum. Below is an article which relates to these 5 elements for effective language instruction and which contains useful information regarding the skills of speaking and listening. The early years are a period in which young children are using language to learn not only about their world but also how language can be used to serve many purposes. To a certain degree, children pick up this knowledge naturally, but an astute teacher or parent plays a vital role in assisting children in their ability to be good conversationalists. Conversing with children is not the only way to increase vocabulary, however. Strategies teachers use while reading with and to children can also build their word banks. Asking open ended questions (questions in which there is no right or wrong answer and to which the adult does not “know” the answer) helps teachers assess children’s comprehension but also helps them learn more vocabulary words (Whitehurst et al., 1988, as cited in Wasik, 2006)Kerry (1982) asserts that the vast majority (approximately 80%) of “teacher talk” in classrooms is focused on tasks: giving instructions, providing information, or correcting behaviour or information. Of this talk, 80% of it consists of low-level questions that ask children to recall information rather than open-ended questions requiring children to think at higher levels (as cited in Jalongo, 2008). Conversing with children is not the only way to increase vocabulary, however. Strategies teachers use while reading with and to children can also build their word banks. A very important consideration in using any questioning technique is the “wait time” given to children as they formulate their response. In addition to giving children ample time to formulate answers, how teachers respond at that point can encourage or discourage future participation in discussions. 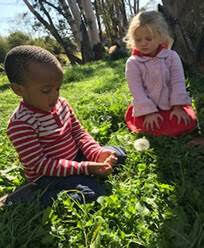 Attentive body language, expanding children’s responses, asking clarifying questions, and using reflective listening techniques are ways to support children’s continued participation in current and future dialogues (Otto, 2006). The obvious partner to participating in talk is the ability to listen. Conversation is a two way communication experience. Although children’s oral, or expressive, language often gets emphasized, receptive language, or listening, is equally important. 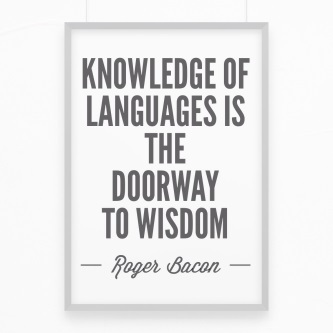 Naturally, the ability to listen is also a key component in learning. It is the way children take in information through ways of helping children participate as listeners and speakers in conversations is for teachers to model good listening and speaking techniques themselves. When children are speaking, get down to their eye level. It is difficult to keep up a conversation with someone when you must keep looking up.
. • Treat children as if they are skilled at conversation. Give them your full attention and focus on what they say. Ask open-ended questions to follow up on what they share. Speak to all children, even those who may have language delays or who are English language learners. Ask children questions about things to which you do not know the answer. Questions that ask children to reflect on a topic or to formulate opinions and explain them not only show children that you value their ideas but also encourage them to think about their own feelings and ideas. Don’t give up if children don’t respond well the first time. Sometimes this kind of questioning and responding takes more deliberate probing and time for children to develop this skill. Help children learn to listen to one another. When adults value listening to children and to each other, children will notice this. Adults must also, however, be intentional in giving children the skills to listen to one another. Some teachers find that giving the speaker a prop, such as a stuffed animal or other small object, while speaking to the group helps distinguish whose turn it is to talk. Limit group time and small group discussions to a reasonable time limit for young children. Their ability to stay attuned to a lengthy discussion is incomplete at this age. When attention is wandering, it is best to bring closure to the activity and transition to something else. Record, both by writing on chart paper and audio, transcripts of discussions so that children can hear and have read back to them things that were shared. Value all the home languages of the children in the class, including sign language for the hearing impaired. For the benefit of English language learners and everyone else, learn some of the key words and phrases in the languages represented in the group, record them, create word/picture cards, and provide them in a listening centre. This way, children can learn some important words in another language and support the speaker of that language (Jalongo, 2008). What needs to be taught? There are certain elements that need to be explicitly taught before embarking on formal instruction of oral language. Awareness of broad rules that govern social interaction: In order to teach speaking and listening skills, teachers will need to create awareness of the way conversation works by considering the “rules” to be observed by good speakers and listeners. These are often unconscious. Turn Taking: Turn taking is very important for an effective speaker listener relationship. Students need to recognize pauses in a conversation where they can take a turn, interrupt, ask a question or change the subject. Teachers can explicitly teach turn taking so that all pupils are encouraged to speak e.g. circle time where everybody has a turn, asking students to work with a partner and choose who will go first. The Floor: the person who is currently speaking is the person who “holds the floor”. During conversations, speakers and listeners use eye contact, body language, gestures, and pauses to judge when a new voice can take the floor. Adjacency Pairs: these are the sequences of two utterances next to each other, produced by two different speakers e.g. a question and an answer, a greeting and a response. This can work well to help develop the everyday social interactions of pupils. Repair: repair takes place when a speaker has to “fix” something they have said e.g. “I said seen, I meant saw”. Sometimes the listener can seek a repair which could be expressed through a facial expression or body language or check for meaning by asking a question such as “What do you mean? ” or “I don’t understand”. Pupils need to be encouraged to check that they understand what another person is saying and to check that others understand them. Non-verbal behaviours. Communicating is more than just words. The manner in which we use voice, facial expression, and body language affects the messages we are trying. Students are not always aware that their posture or the way they approach another person speaks volumes in itself. By creating awareness around the expressive nature of the way a person uses their body and voice, teachers can help pupils to become critically aware of the non-verbal behaviours that will equip them to express themselves in an effective manner. What are these non-verbal behaviours? Use of voice: The use of intonation and pauses that convey meaning and attitude. Volume: Volume depends on the needs of the situation, purpose and audience. There are times when loud voices are required such as in a play, or during assembly. There are also times when quiet voices are necessary such as working in the library. Generally speaking a voice should be loud enough that the intended audience can hear and understand the message being delivered. The use of varying volume will help to create emphasis or drama when recounting events, telling a story or persuading an audience. Intonation: Intonation indicates the changes in speech; a downward intonation indicates that a message is complete, while an upward intonation indicates a question. Pitch: Pitch is useful to use when expressing emotion. Our pitch rises when we are excited and lowers when we are sad. Pronunciation: Pronunciation refers to the way words are said. Some younger pupils may have difficulty in pronouncing the sounds in some words and will benefit from hearing those words modelled in meaningful contexts. Pronunciation varies across regions. It is important that pupils know the accepted pronunciation of words in Standard English. Proximity: Proximity is the amount of personal space between people who are talking. The relationship between them, their personalities, and their culture or whether the situation is personal, social or public will all affect the amount of proximity needed. Act It Out This is a small group activity designed to give pupils time to decide what they would do in different situations. It provides them with the opportunity to discuss the information they need to include and to try to find ways of improving their speaking and listening. At the table pick a scenario card and discuss these questions, what is happening? How do we know? What will we say and do so that everybody knows what we mean? How can we say this so that it sounds like the talk we use in school? What will we do to show that we understand what is being said? You need to decide who will act out the part and where the action will start, before, during or after the event on the card. Try acting it out. Students can then reflect on these questions, what made sense and why? where else could we listen like this?, where else could we speak like this? What would we say differently next time and why? It is important that the classroom environment is supportive and nurturing where a variety of communication styles are valued, accepted and accommodated. Teachers can design differentiated teaching and learning activities that draw on pupil’s interests, knowledge and skills. Teachers will also support students by helping them to develop strategies to use when speaking and listening for different contexts. By providing authentic purposes and audiences for speaking and listening, pupils will become confident and enthusiastic communicators. The pupils listen to each direction and does at it says only if they hear their numbers following the direction. Walk to the door and back etc. Teacher reads a series of short stories, perhaps 4-5. Pupils listen very carefully as questions will be asked after each story. Ask questions that only have numbers as their answers. Pupils respond by restating each question in the form of a statement that includes the answer e.g. “how many tusks does an elephant have” “an elephant has two tusks” – How many paws does a dog have? – How many legs are there on a three legged stool? – How many openings does a fish bowl have? Encourage your child to listen and respond courteously to others. Language development is absolutely essential for the normal and complete development of every human being. 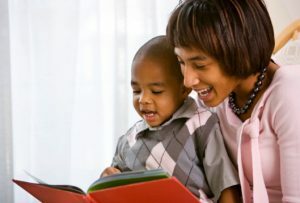 Although language development is complex, children learn to speak their home language with ease in only 4 years of age. Language development is learned through social interaction and many of the first words are used for interaction with others. 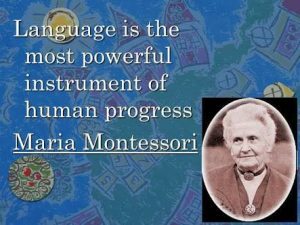 Vygotsky regards language as the foundation of acquiring intellectual skills, as the child needs a form of language to be able t o form concepts to learn. According to Chromsky, language is inherent in all children and needs to be only enhanced by social contact. 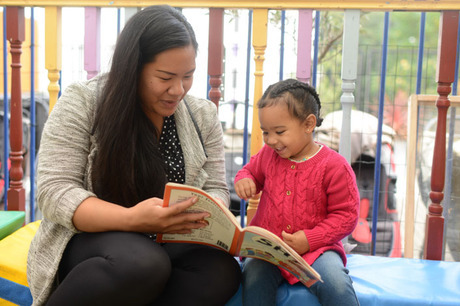 At 18 months children will use two or three – word phrases. Children may have a vocabulary of 300 words, but they may understand more words. At two to three years. A vocabulary of about 900 words is used. They correctly pronounce all vowel sounds a, e, i, o and u. At three to four years, the past tense of the verb appears in their speech. Speech becomes more complex, with more adjectives, adverbs, pronouns and prepositions. Pronunciation improves greatly. Vocabulary is about 1 500 words. They correctly pronounce the sounds , p, b, m, and h.
At four to five years language is more abstract. Children vocabularies include 2 500 words. They correctly pronounce the sounds: f, j and sh. At five to six years, children use complex sentences. They use correct pronouns and verbs in the present and past tense. 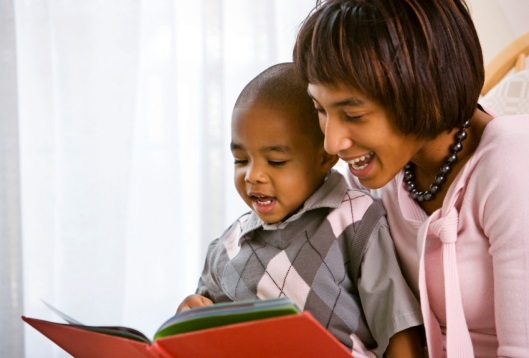 It has been estimated that the child understands approx 6000 words. They correctly pronounce the sounds: ch, v, r and l.